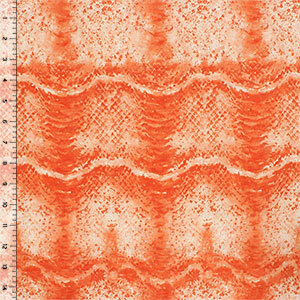 A slub poly cotton rayon blend knit with a faux snakeskin design in hues of orange on a white background. 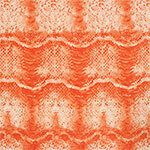 Fabric is light to medium weight, with a small stretch, and slight slub texture. Design repeat measures 10" (see image for scale).